This is a far cry from the top-four position that many NRL fans (including myself) predicted before the season commenced. Not only is twelfth not a great position to be sitting, but I imagine that plenty of Broncos fans are feeling deeply concerned after the team’s 36 points to four loss against the Sydney Roosters on Thursday night. Premierships are not won in March or April or even May but given how close the previous iterations of the competition have been, a strong start is almost essential. By the end of Round 8, almost a third of the competition will be over and if the Broncos don’t win at least two of their next four games, it will become increasingly hard for them to break into the eight, especially given how much their team is impacted by State of Origin. The problem is, the draw for the Broncos over the next four weeks is far from easy. Their next opponents are the Wests Tigers at home, the Canberra Raiders away, the Cronulla Sharks at home and then the South Sydney Rabbitohs away. I’m not a coach, but in my view there are a couple of glaring issues with the Broncos line up this year. Given these issues were present last year too, perhaps putting them in the top four was a stretch. Anthony Milford is an exceptionally talented player. When he is at his best, he is dynamic and his running game is among the best in the competition. He is one of my favourite players to watch when he is feeling confident and the Broncos have their heads up. The problem is that his partnership in the halves with Kodi Nikorima is an absolute disaster. Given that Nikorima is not a dominant half and lacks a running game, it looks like Anthony Seibold is pushing Milford to be that dominant half. This is not the player that he is and he looks uncomfortable leading the team on the field. Then we get to Nikorima and my question is; why have so many coaches persisted with him in the number seven jumper. We saw Wayne Bennett do it, Michael Maguire plays Nikorima at seven for New Zealand and Anthony Seibold has also persisted. What do they see that we don’t? His defence is a problem and he really lacks a kicking game, which means when he kicks the ball to finish a set, the Broncos rarely find themselves in a strong attacking position or with a kick that gets the team out of trouble when they are on the backfoot defensively. The Broncos do have some other options in the halves like Sean O’Sullivan and Thomas Deardon, but they are youngsters and untested. Will we see Seibold take the gamble over the next couple of rounds? A far bigger problem is the attitude of some of the older heads in the club. Watch the James Tedesco try from Thursday night and look at the effort from Darius Boyd and Andrew McCullough. It borders on embarrassing. This is concerning for Broncos fans because one of their biggest strengths is their young forward pack. Men like Tevita Pangai Junior, Thomas Flegler and David Fifita have shown what they are capable of, but I wonder whether these young forwards have the maturity to play with the intensity required at a first-grade level. Additionally, if the senior leaders at the club drop their heads, it’s unlikely that these young men have the leadership skills to step up. 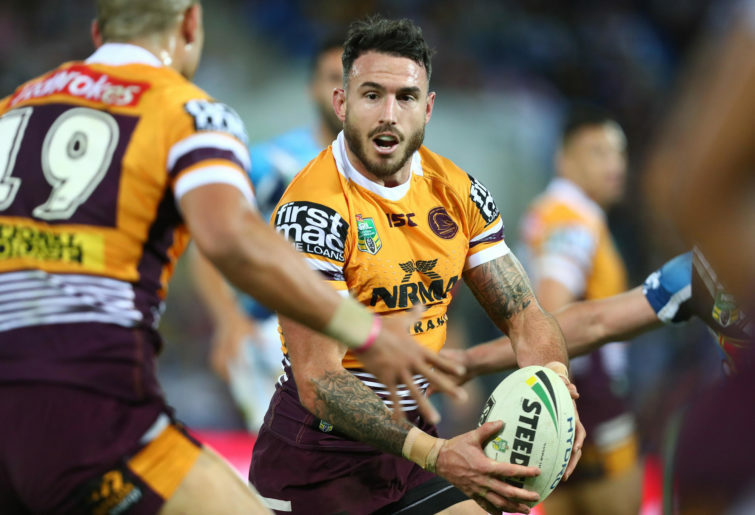 The loss of Josh McGuire may have been needed from a cap perspective or because the Broncos had too many players in his position, but with losing him and Sam Thaiday in a short period, have the Broncos got players willing to step into the leadership positions that these two men had at the club. I’ve mentioned Boyd’s effort in defence for the Tedesco try last week. Sadly for Boyd, that lack of effort has not been a once off this season. In the past, Boyd has spoken openly about his challenges with mental health and his very close relationship with Wayne Bennett. I wonder how much of an impact having a new coach is having on his performance? I also wonder whether he is playing with an injury or is carrying fears from previous injuries sustained. He seems afraid of contact. This is problematic for a fullback and I wonder how long it will be before we see Jamayne Isaako given a chance. Last year, many fans applauded Seibold and what he did at the South Sydney Rabbitohs – and he did do a tremendous job. But I wonder whether he is a coach that is worth the backroom wheeling and dealing which the Broncos engaged in to get him and the controversy that erupted surrounding the swap between him and Wayne Bennett. 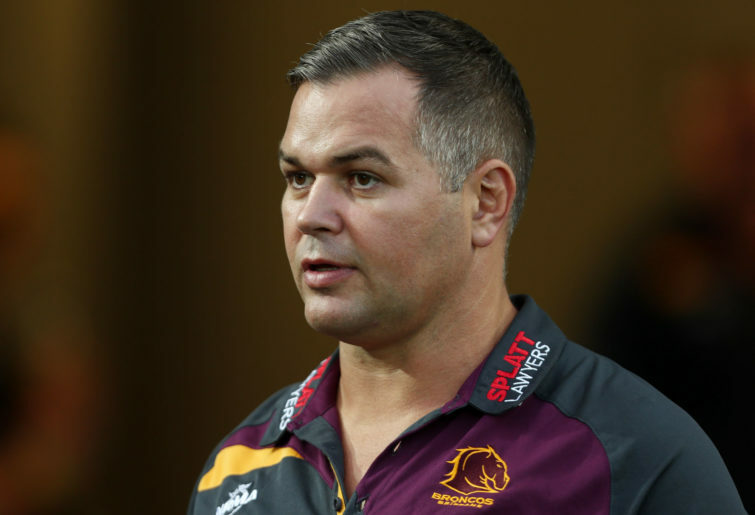 The Broncos may have thought it was time to go for Bennett – but was Anthony Seibold the right choice, and for five years? That is an exceptionally long time, especially for a coach that has only had one full season in first grade. Heading into most seasons I feel like the Broncos are underrated. Perhaps this year they were overrated. Seibold had plenty of backing, support and praise heading into the season. Now is when the going gets tough for him. The Broncos sit in twelfth position and the media will begin asking questions about the squad, what position the players are in and most importantly, his leadership. It’s clear that some things at the Broncos need to change – I wonder whether we will start to see some of those changes this week on ‘Team List Tuesday’.